We are looking forward to welcoming you in our brand new Guest House in Thessaloniki. Were in the Old City (Ano Poli), the most beautiful, quiet and safe area of the city! From our balconies, available in all the rooms, you can sit on the sun loungers and enjoy the great view over the sea and the town and idyllic sunsets. The rooms are always very clean and include private bathrooms, showers, a fridge and a kitchen with utensils. Free high speed Wi-Fi is also available in all the rooms. We have a spacious common-area lounge with a 42'' TV with DVDs, plus a patio surrounded by flowers where you can relax in your free time and enjoy the Greek sun! For a small fee we can also provide meals, air conditioning and laundry facilities. The city centre is only 15 minutes on foot from here. Meet the locals who color and enliven the real Thessaloniki. Feel the pulse of the city as you explore urban streets, hidden courtyards, local life and history! There's also a bus stop just next to our guest house where you can catch a bus to downtown every hour. There's also a small bus, number 22, starting from Olymbiados Street, taking you up the hill, passing by the hostel and going on for a tour around the Old City. 4) Keep to the LEFT of Agiou Dimitriou as it gently climbs uphill, taking a LEFT at the second set of traffic lights (not including the ones at major junction) up Ifestionos. 5) Go up Ifestionos until you reach a roundabout. Head directly across,where you will see 3 streets.Choose the one in the middle,-the only STONEPAVED street headind to the upper town-this is our street-Sachtouri street. 6) Actually Sachtouri street is the first STONEPAVED street parallel to the old city walls,which surrounds the upper town(old city).So,proceed up the steep hill for about 3 minutes. Continue ahead as the road widens and narrows again, ignoring side streets. 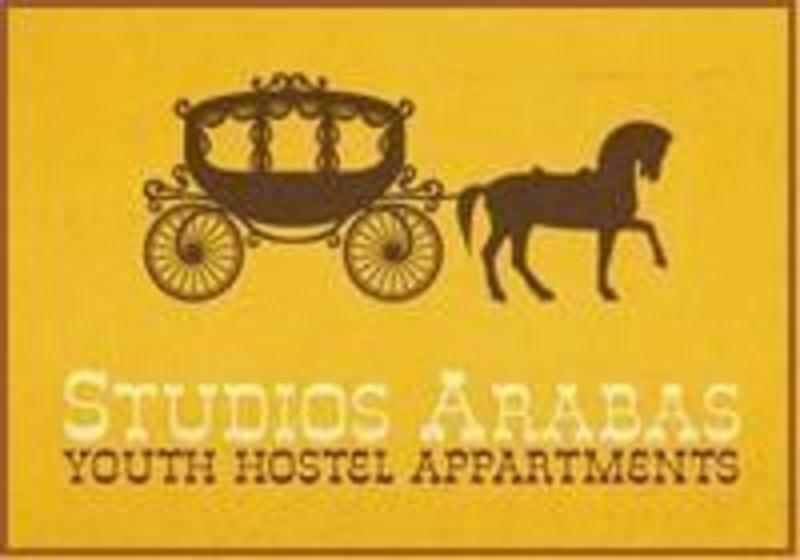 Studios Arabas is located on the RIGHT at NUMBER 28. Take the Bus n 78, until the Bus-stop Aristotelous. Then take a taxi to the street Sachtouri 28,Ano Poli,or walk through the central square Aristotelous heading uphill.When you reach the main street Egnatia,you will see a white statue of Venizelos waving.Cross the street and go to the bus stop also called Aristotelous.Get bus No28A/28B till bus stop called 'Palia Lahanagora'.When you get off go to the right and start walking uphill where you will see 3 streets. Choose the STONEPAVED street,which is in the middle,called Sachtouri.Procced untill No 28 where the hostel is located. It would be is very helpful to have printed map. Take the bus n 31 until the Antigonidon bus stop.On the other side of the street you will see another bus stop also called Antigonidon.So,go to that bus stop and get bus No28A/28B untill the bus stop named 'PALIA LAHANAGORA'.When you get off the bus,walk to the right,start heading uphill where you will see 3 streets.Choose the one in the middle,the only one which is STONEPAVED. This is our street and it's called SACHTOURI str. In 3 minutes you will find the hostel on your right hand, number 28.